I am connecting sets of three #8 wires for a 220 circuit, and have found large blue wire nuts from Ideal that are rated for this wire size. But they are very difficult to twist to the point that the wires themselves begin to twist together, and upon removal the nuts don't seem to have made much of a grab on the wires, or to twist them. The wires are a combination of 7 strand and 19 strand. I see that multipart "Polaris" type connectors might be better, though much more expensive. I also wonder whether the set screws on Polaris (or the Morris that seems to be the same but much less expensive) are subject to backing out unless locked in some fashion. Help greatly appreciated! If you mean these, they are not -- oh wait, if you dig into the data sheet, they are rated for three #8. Things the literature doesn't tell you that the data sheet does. Now, you are pushing the limit of the wire nut's range, so it may be difficult to work with. They work better in the middle of their range. It also sounds like you are being timid with the wire nut, and you really need to show it who's boss. You're worried about the wires twisting, they're supposed to twist. If even the insulated parts of the wires start to coil around each other, that's fine, that's an indicator that that you're tightening it enough. Also, do not pre-twist the wires that will be going into the wire nut. That is just dumb, the wire nuts themselves are about to do a fine job of that. Make sure the wires are square/even going in, pretwisting makes that harder. Also you have a chance of twisting in the wrong direction. Never tape wire nuts, except for a single wire on a nut (otherwise, those don't hold). Instead, firmly pull on each wire. They shouldn't even think about coming out of the nut. If they do, that indicates a bad job of wire nutting. They are also making bad contact, and will cause arcing and fire. Unwind it, straighten them out a bit, line them up properly, and do it again. As an alternative, have you considered using a split-bolt connector (we used to call these wire gurneys)? 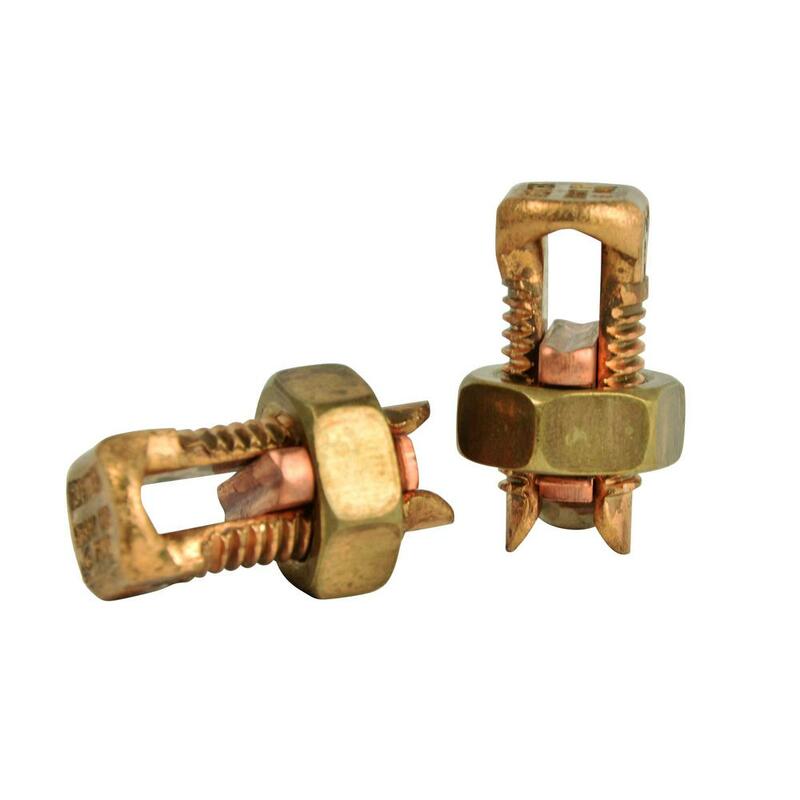 Wire nuts make excellent splices but they do require some proficiency before you can make reliable connections. Even people that are proficient struggle with bigger stranded wires, and the combination you're splicing is near the limit of the connector. If you want to use wire nuts, get a few scraps of #8 stranded and practice with them. In my opinion you did something very important: if something doesn't seem to work right for you, find an alternative. The insulated lug connectors such as the Polaris are expensive and bulky but they are pretty straightforward, as long as you follow the instructions and strip the right length and torque the lugs as directed, there's really no learning curve to become fully proficient. Insulated lug connectors are not immune to failure, but nothing is. Twist the wires together with a pair of lineman's pliers before you put the wire nut over them. You can hold the insulated portion of the wires stable with a pair of needle-nosed pliers for stability. Typically, wires are meant to be twisted together first, before applying the wire nut. The large, blue marrettes are designed to handle a pair of #8 AWG conductors. Strip back enough of the insulation to allow for an easier twisting motion. You can always cut off any excess strands of wire before putting the wire nut on. Not the answer you're looking for? Browse other questions tagged wiring connectors or ask your own question. What port are these wires for?